James Norcliffe is an award-winning poet and educator, as well as an author of children’s books. He has been awarded the 2012 University of Otago College of Education’s Writer in Residence, and has been recipient of the 2006 Fellowship at Iowa University and the 2000 Robert Burns Fellowship at Otago University. In 2003, Norcliffe, with Bernadette Hall, received the inaugural Christchurch Press Literary Liaisons Honour Award for ‘lasting contribution to literature in the South Island’. Norcliffe has taught English in Christchurch, China and Brunei. He won the Lilian Ida Smith Award in 1990, and the New Zealand Poetry Society’s international competition in 1992. He lives in Church Bay with his wife, Joan Melvyn. 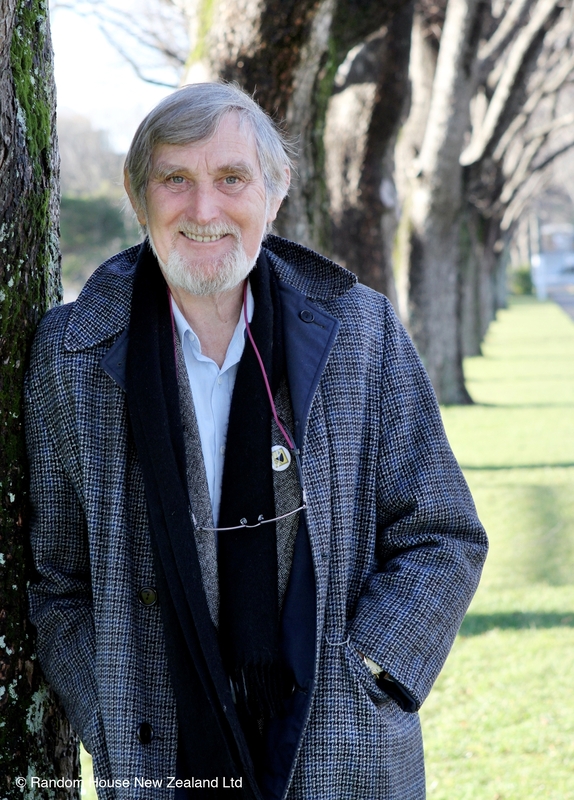 His novelThe Loblolly Boy was described by New Zealand’s most acclaimed children’s writer Margaret Mahy as ‘a rich fantasy — alive with original twists surprises and mysteries’. It was also published in the United States and Australia, won the 2010 NZ Post Junior Fiction Award, as well as being shortlisted for the Esther Glen Medal and the Sir Julius Vogel Science Fiction Award. It was a 2010 Storylines Notable Junior Fiction Book. The Loblolly Boy & the Sorcerer was a finalist in the Junior Fiction category of the 2012 New Zealand Post Book Awards for Children and Young Adults.The Enchanted Flute was published in 2012. The YA fantasy novel The Assassin of Gleam won the Sir Julius Vogel Award for the best New Zealand fantasy novel of 2006, and was shortlisted for the 2007 LIANZA Esther Glen Medal. In Science Fiction World, Gerard Woods wrote of The Loblolly Boy that Norcliffe ‘has written that rare children’s book, as much a joy for adults to read as for children’. USA’s Booklist described The Loblolly Boy as ‘an imaginative and richly atmospheric fantasy with sympathetic characters. ... a haunting story that will capture most readers’ imaginations’. ‘The Loblolly Boy by James Norcliffe is an entrancing, exciting, unexpected read .... it has a wondrous, magical fairy-tale ambience ... I never quite knew where it was going or how it would be resolved,’ wrote George Ivanoff in Australian Speculative Fiction in Focus (ASFF). In New Zealand Books, Heather Murray identified Norcliffe’s ‘experience as historian and poet to create a logical, believable and exciting story out of an alienating and threatening world’. She concluded: ‘Though Norcliffe creates frightening worlds, [he] grounds his story and characters in acceptable reality through using known language . . .’. Dave Pope, in Hawkes Bay Today, noted that ‘like all good stories this one has a plot within a plot within a plot. 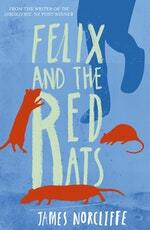 It keeps the reader wanting more, as minor characters are drawn into this dark tale.’Felix and the Red Rats is a riveting adventure which sees the margins between fiction and reality, and the past and the present, dangerously blur. Be the first to find out about James Norcliffe.